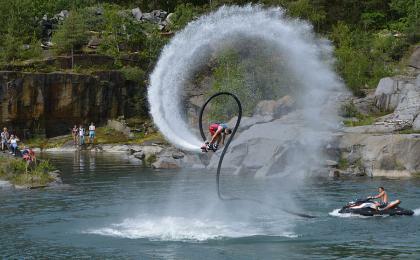 Looking for a summer activity full of water fun and adrenaline experiences? The Džbán water reservoir is a favourite place where the locals come to enjoy swimming, Cable Wakeboarding and of course Cable Water skiing. Join them for a pleasant day by the water. What is the water ski experience all about? You will get you a pair of skis, a safety vest, and a helmet. If the water temperature isn´t ideal for you, a wetsuit is also available. The instructor will give you several tips on how to stay on your feet and prepare you for your first ride. The pulling speed is adjustable so both beginners and skilled water skiers will be satisfied. 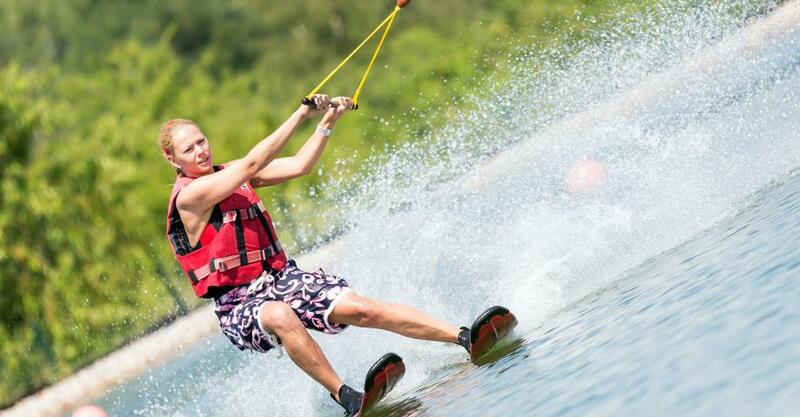 The standard water ski experience lasts 1 hour and children are welcome as well. Džbán is located just several stops by tram from the metro station Dejvická or Nádraží Veleslavín, right next to the beautiful natural reserve of Divoká Šárka. Some basic information about Cable Water skiing will be given at the beginning, so you can enjoy the ride as much as possible. Then you can start water skiing. The cable system is rented for one hour and you will share it with 3 other people at the time. Two ski sests are available, but only one person can water ski at the time. The ski set and vest rent is included in the price. This activity can be performed by any person over the age of 7. The pulling speed can be set according to your skills. Please, note: this activity takes place in the areal of natural water reservoir Džbán. Instead of paying the entrance fee, show your voucher. 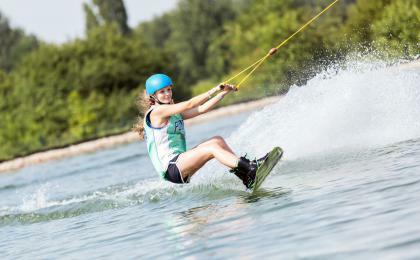 You can practice water skiing in almost all weather conditions except storms and strong wind. This activity is designed for one person. 3 other participants can take turns with you. Visitors are welcome to encourage you and take photos. 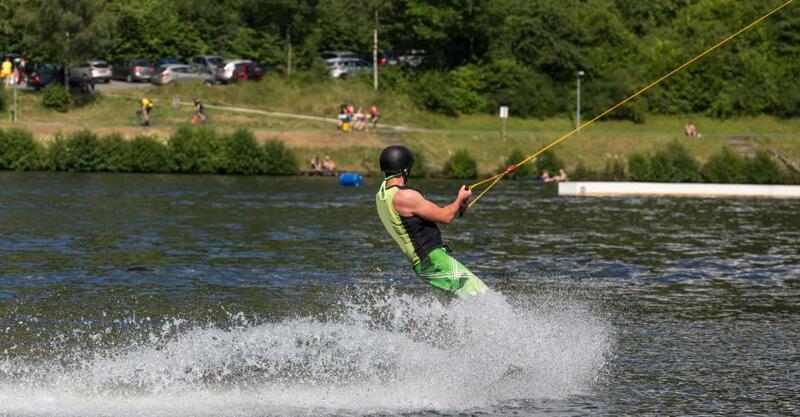 They can do some other activities on site while you are water skiing, e.g. pedal boarding, swimming, aqua zorbing, aqua rolling, etc. You only need a swimsuit, the rest of the equipment will be prepared on site. You can also rent a wetsuit if it is cold. Place of activity is easily accessible by car or taxi. See details on Google maps. CAR: Distance from Prague centre: 11km, travel time: around 30 minutes. 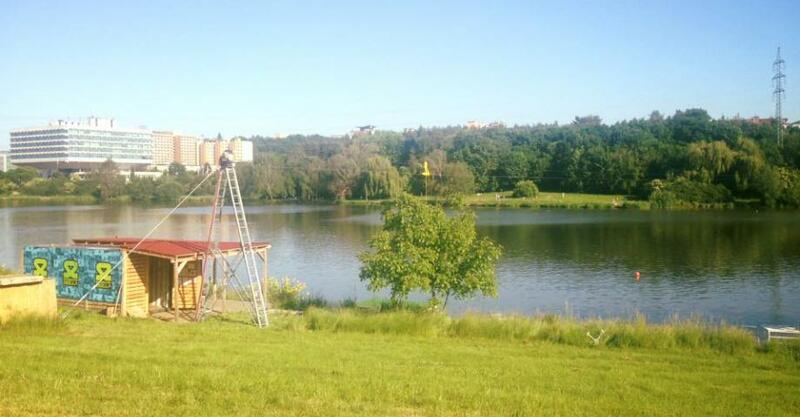 This activity takes place on the outskirt of Prague but you can get there by metro and bus easily. See details on Google maps.